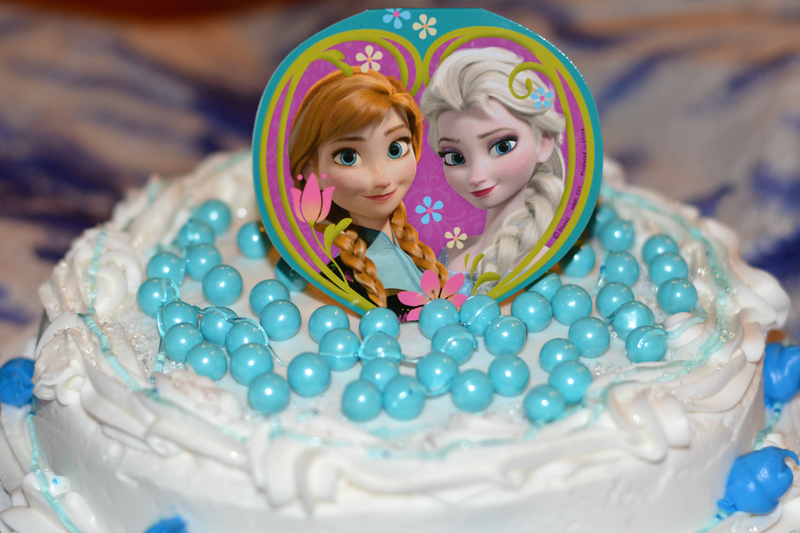 This #FROZENFun celebration has been compensated by #CollectiveBias and its advertiser. All opinions are mine alone. 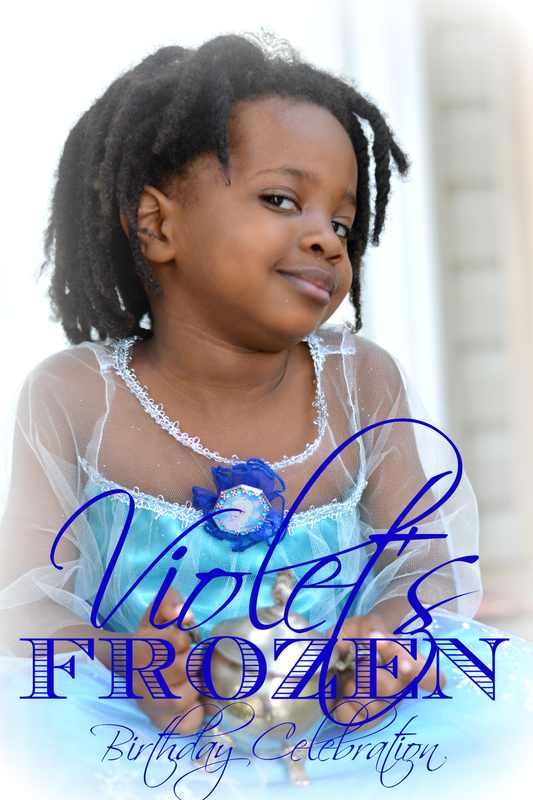 We were late to discovering the awesomeness of FROZEN the movie. We saw it for the first time about a month ago. Since that time, we've watched it at least once a day. Violet knows all the words to every song in FROZEN and I love watching her sing along. She really gets into character and belts those songs out. I've never seen her shy self so free and open. It makes me happy. 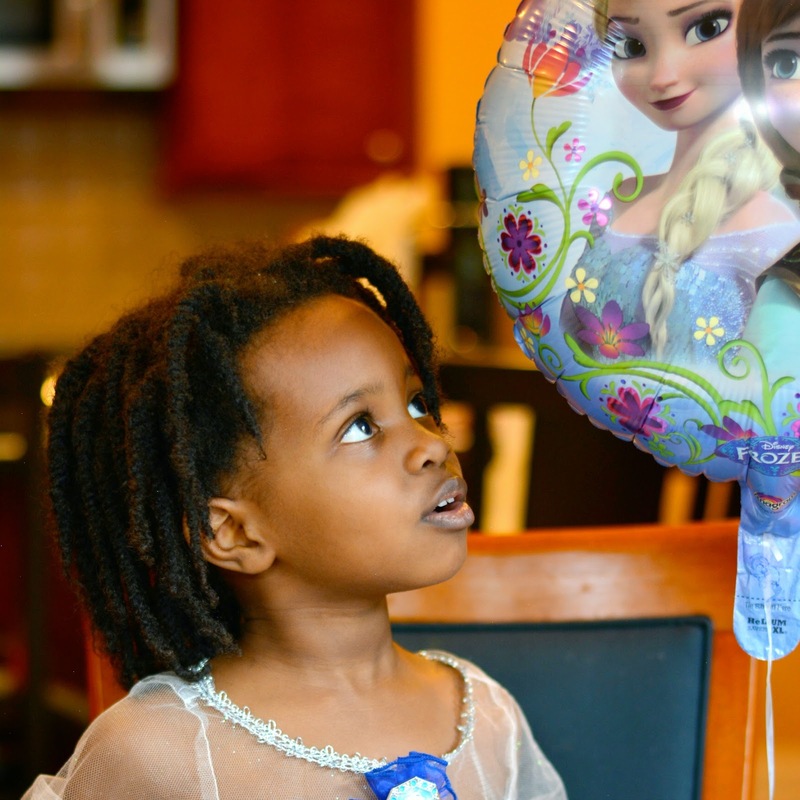 My absolute favorite part is watching her let down her imaginary Elsa braid to Let it Go. V's birthday takes place during our move and I wanted to have a little pre-birthday celebration before everything starts to get crazy busy with the transition. 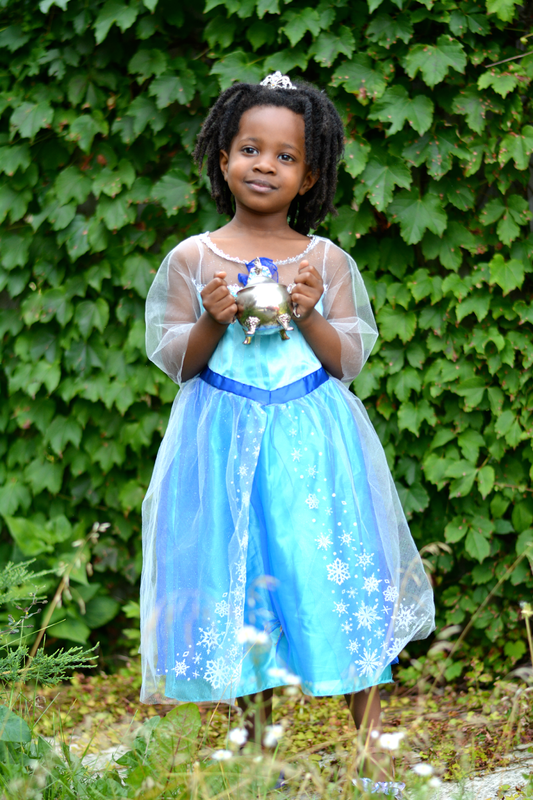 I suggested we have a FROZEN party! When I told V, she was all about it. 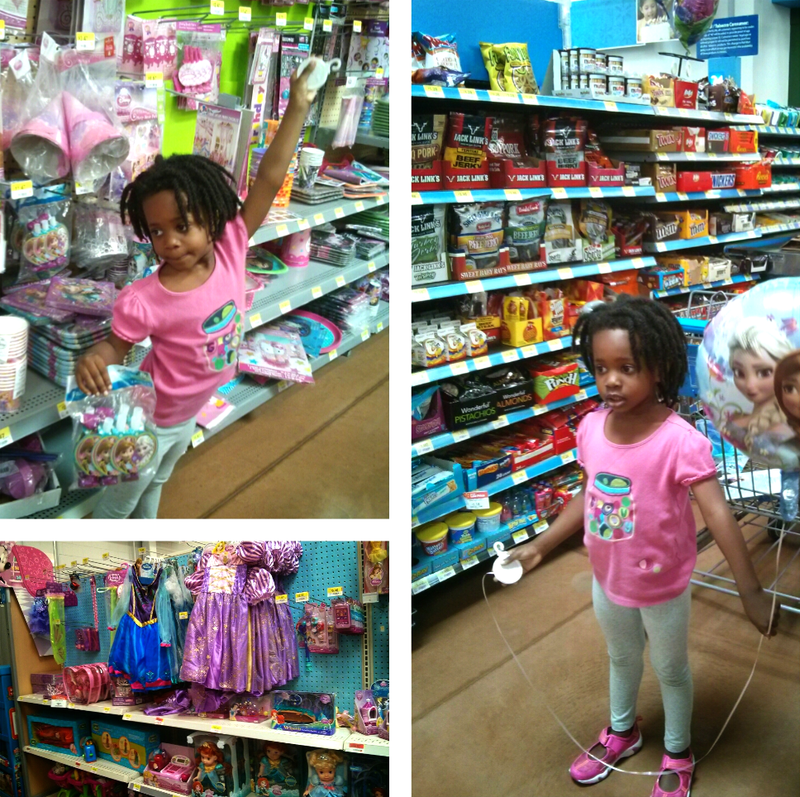 Once confirming cake would be involved, we headed to Walmart and got everything we needed to have a fabulously FROZEN time! As this party is very impromptu, we didn't have time for a specially made cake. I picked up one in the bakery plus decorating supplies to do a little DIY. We grabbed a balloon on the way over to pick up the party plates and napkins. No party is complete without gifts. She chose a sparkly set of flavored lip balm that she now applies everyday. All of them. Each flavor one after the other. She also requested a dress. I asked if she wanted an Elsa or an Anna dress. She looked at me like I had two heads. As soon as we got home, V slipped into her dress and we decorated the cake together before indulging. 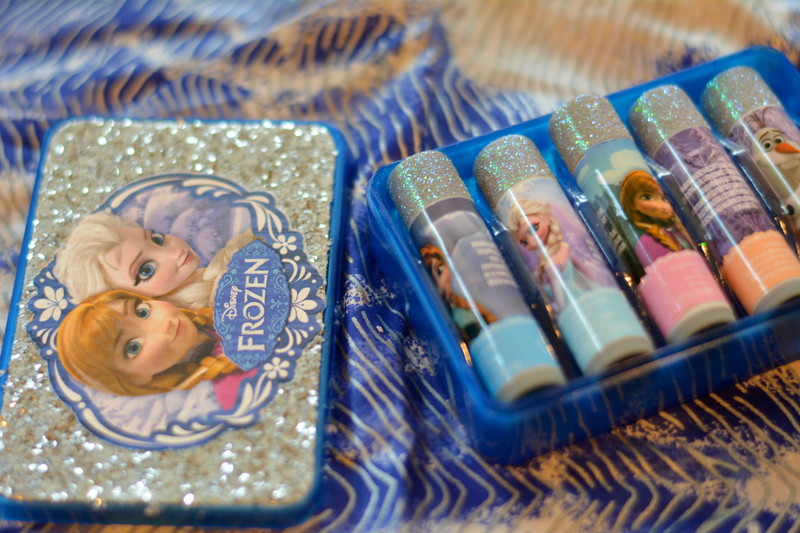 Are you a FROZEN fan? Favorite part?